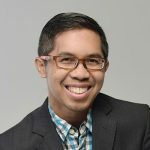 A Fulbright Scholar and former reporter for Voice of America, Ahmad Fuadi went to George Washington University and Royal Holloway, University of London for his masters. ‘The Land of Five Towers’ is his debut novel and the first of his trilogy. A handful of people want to step out of their comfort zone because sometimes a comfortable life is just not enough. In the late 2000s, Ahmad Fuadi reached a point where he found that his life had become too comfortable. He felt this urgent need to achieve greater things. Back then, the former journalist of Tempo Magazine had achieved the so-called dream of educated middle class Indonesians.